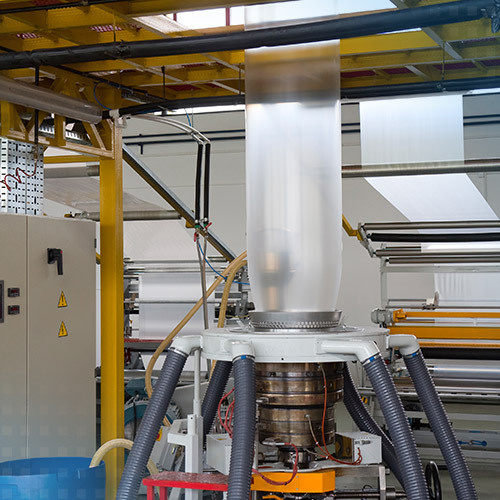 The thickness of manufactured films is frequently a decisive quality criteria in production. Specially developed thickness measurement systems are used as early as possible in the production for the check of the thickness. Dual sensors consisting of two sensors with different measuring principles measure the thickness across the complete width of the film from one side without contact. A thickness profile of the flat film is thus produced using which the production systems can be regulated extremely precisely. The dual sensors are compiled differently depending on the type of film.